South Australia is renowned for its fantastic wine country. If you are planning to explore the regions around Adelaide here are some top cellar doors that make worthwhile stops on the itinerary. Ranked as the number one locale in Barossa by Trip Advisor for the past two years running, Murray Street Vineyards has earned a reputation as a must-visit destination. Situated in the quiet village of Greenock, this cellar door offers a relaxed and personal experience on the Western ridge. With no tasting bar to separate you from the team, you can try a seated tasting of six wines that honour the rich winemaking tradition of the Barossa in elegant Riedel stemware. Experience the tasting room or the view from the shady pergola on the deck overlooking a typical Barossa setting of manicured vines. 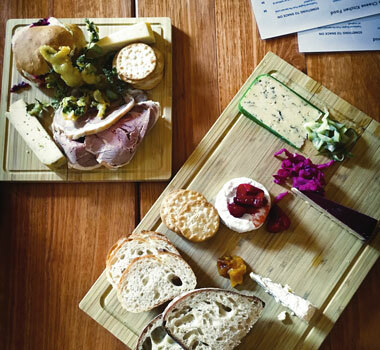 You might like to graze on regional cheese and charcuterie platters while enjoying Murray Street’s classic ‘The Barossa’ blend of Shiraz, Grenache and Mataro. Recently awarded the Barossa trust mark, the grapes for this wine represent the best of the season and hail from some of the world’s oldest soils. This is the perfect location for a day out with family and friends. Why not while away the afternoon on beanbags in the garden playing lawn games like quoits and bocce. Barossa is calling. Don’t be fooled by the traditional exterior of the 19th century homestead at this landmark cellar door, a visit to d’Arenberg is a journey into new and inspiring territory. Boasting a range of over seventy wonderful and wackily named wines, there’s always plenty to taste while enjoying views of McLaren Vale, Willunga Hills and Gulf St Vincent. Highlights include a behind the scenes vintage tour and blending bench sessions where you can create and bottle your favourite style. The luxury reds flight dives deeper into the region to uncover single vineyard wines that showcase the personality of individual patches of earth. Just $20 buys you an exclusive look at the flagship Dead Arm and two Amazing Sites Shiraz, each valued over $200 per bottle. Think The Athazagoraphobic Cat Sagrantino Cinsault or The Old Bloke and Three Young Blondes, starring Shiraz from the oldest and best vines together with young whites; Roussanne, Viognier and Marsanne. Adventure seekers can explore the region in a four-wheel drive or take to the skies for a scenic flight in a Waco plane before settling into epicurean heaven at the award winning d'Arry's Verandah Restaurant. Soon to be housed in a 13 million dollar Rubik’s Cube complex, this legendary cellar door has perfected the art of being different. We can’t wait to see what’s next. 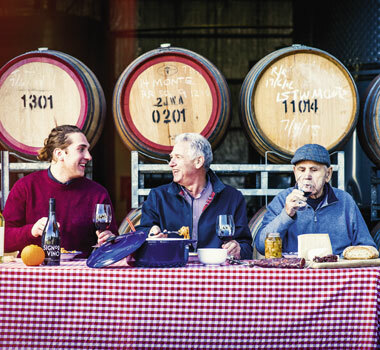 Nestled in the contours of the Skilly Hills, Skillogalee has held the title of first and best winery restaurant in Clare Valley for over twenty-six years. Built in 1851, the heritage cellar door is housed in a charming miner’s cottage consisting of tasting and dining rooms with a long verandah overlooking three tiers of cottage garden. The famous vine pruner’s lunch can be enjoyed from prime position under the shade of a large olive tree, while early risers will love the breakfast of potted trout, baked eggs and taleggio. Spend an afternoon on the lawn amid the heirloom roses with a bottle of iconic Skillogalee Riesling and some chicken liver parfait, and duck rillettes. You can taste the full range of estate grown wines including the exceptional single contour Trevarrick series and delicious liqueur Muscat. Don’t forget to pick up house made quince paste, pickled figs, chutney and other goodies from great old trees on the property to stock the larder. This cosy and authentic experience is a longtime favourite of locals and visitors alike. 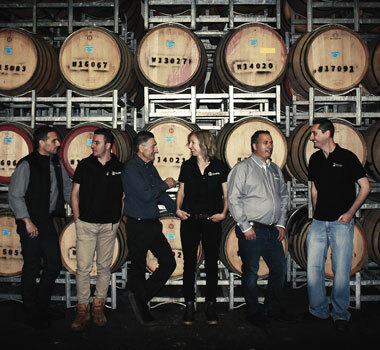 The Lane sets one of the country’s highest standards in cellar doors. The modern tasting space, light filled dining room and sun drenched deck float above the heart of the vineyard with sweeping views of the Onkaparinga Valley and Mount Lofty Ranges. Casual and structured experiences include guided vineyard and winery tours, interactive blending sessions, twilight masterclasses and exquisite luncheons. Estate grown tastings of the Block Series, Occasion and Heritage wine ranges are guaranteed to thrill your senses and soften the edges of daily life. Food and wine are woven together in a paired tasting served in stunning varietal specific stemware with delicate morsels from the kitchen. You can also select from dishes such as spiced almonds, house made chicken liver parfait and ocean trout ceviche to design your own tasting platter. Friendly and professional staff are a fount of local knowledge, walking you through the history and geography of the domaine, farming traditions of the Hills and region’s bid for world heritage status. 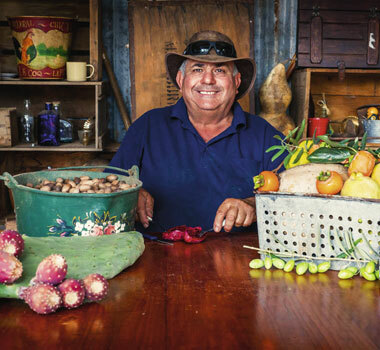 This is an immersive Australian experience founded on love of place and irrepressible family passion for good food, great wine and friendship. Time moves a little slower at The Lane, why not linger?